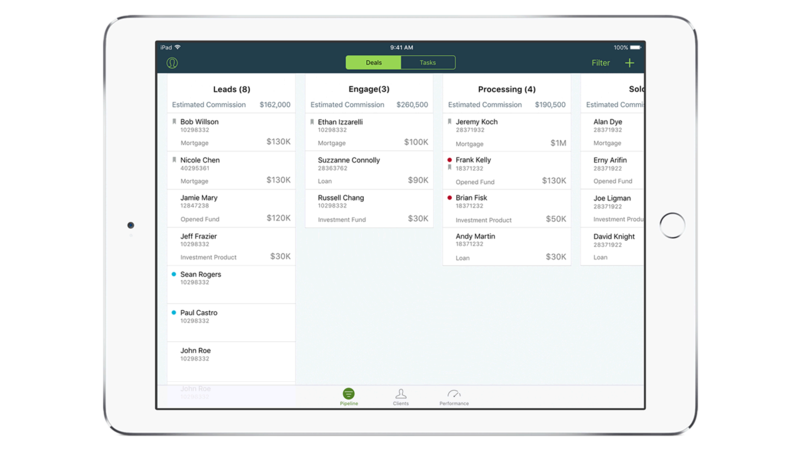 IBM MobileFirst for iOS Deal Hub gives bankers a view of their sales pipeline, progress toward monthly targets and recommendations to fulfill those targets. What happens when I click "Request a Consultation"? What are some of the topics we would be discussing? The conversation will focus on your current needs. The industry apps represent only a portion of IBM MobileFirst for iOS capabilities. Some clients may require additional custom apps. Why do I need a Service Plan? I don't need a service plan for any of the apps on my iPhone. IBM offers a range of services to support MobileFirst for iOS apps. From assuring that the apps are properly integrated into your business to AppleCare device protection and maintenance, the apps that are now part of your enterprise infrastructure will be integrated quickly and updated accordingly. Is purchasing a Service Plan mandatory? If so, do I have to buy a separate Service Plan for each app? No. Integration needs for MobileFirst for iOS apps varies by client. While some clients install a single app at a time, more and more clients are digitally transforming their enterprise – rolling out suites of apps across the enterprise. IBM supports both approaches. Are there other IBM MobileFirst for iOS Apps that can help transform my business? IBM MobileFirst for iOS has delivered over 100 industry specific apps that solve industry pain points for individuals across 65 professions.